I look goofy standing next to Mickey. “The happiest place on Earth” got a little less friendly last month when Disney announced it would no longer allow visitors with disabilities instant access to rides and attractions. This is disappointing news to children with autism and their parents, myself included. When we visited Disney two years ago, we were told our son was eligible for a Guest Assistance Card. That card was king! Disney’s Guest Assistance Card ruled! WTF, Mickey? Bring the GAC back, and help a disabled brother out! Our Guest Assistance Card made the Magic Kingdom even more magical. We could enter any ride or attraction we wanted through the exit, and there was never more than a few minutes wait. In some cases, we were escorted past long lines of envious-looking people, and moved right to the front. We felt like part of the Magic Kingdom’s Royal Family! Unfortunately, plenty of able-bodied people have taken advantage of Disney’s lax medical assistance policy. Due to confidentiality laws, Disney cannot ask guests to provide proof of a disability. Visit the Customer Service office at the Magic Kingdom, tell them you’re disabled, and they would give you a Guest Assistance Card, no questions asked. There were also reports of wealthy families hiring disabled people to pose as family members during Disney trips so they could enjoy the perks of the Guest Assistance Cards. As a result of this widespread abuse, Disney will no longer allow disabled guests instant access to rides and attractions. Instead, people with disabilities will be given a ticket with a time they can return and enter the attraction without waiting. The new policy takes effect October 8, and parents of special needs kids already foresee problems. Disabled guests are given tickets telling them exactly when they can ride, for example; “Come back in 40 minutes to ride Space Mountain.” So your special needs child doesn’t have to wait in a line, but he or she still has to wait. And for some kids, that isn’t going to work. Vacationing with special needs kids is always a gamble, and amusement parks can be especially challenging. Children with autism like rides and attractions the same as any kid, but sometimes the sights, sounds, and crowds can be overwhelming and meltdown inducing. There’s a lot of walking and waiting, and some kids are a flight risk. 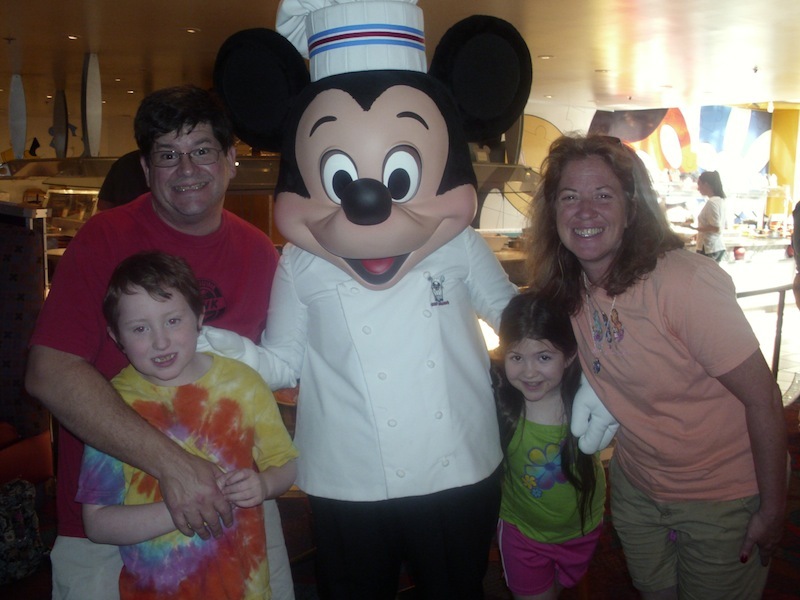 Disney’s welcoming attitude toward people with disabilities is what made the resort such an appealing vacation spot for parents of special needs children. Special kids got special treatment at Disney theme parks. Cinderella’s Castle at night, bathed in purple haze. And why not? Special needs kids are treated differently every place they go — school, church, the supermarket, etc. But at Disney, they got the Royal Treatment. 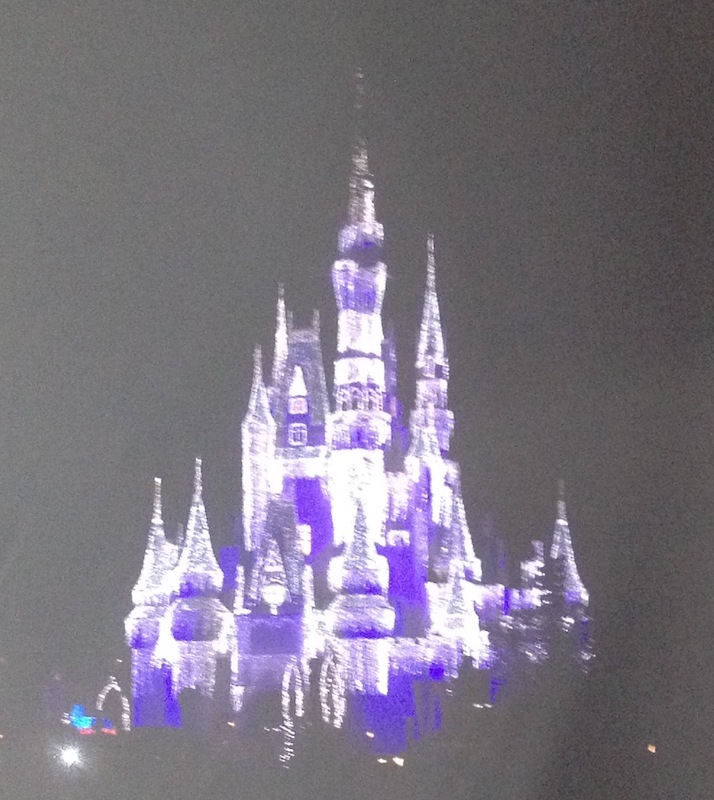 That’s what made a trip to Disney so magical for special needs kids and their families. But this new policy makes Disney theme parks much less appealing as a resort option. 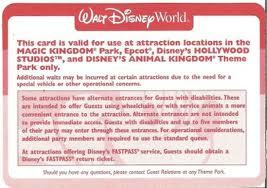 My son couldn’t have visited Disney World if it weren’t for the privileges our Guest Assistance Card afforded us. There’s no way he could have waited on those long lines (I doubt I could have, either). Disney should tighten up its current policy; not toss it out. Maybe guests with disabilities should apply for special privileges in advance, and have to show proof of their disability — a doctor’s note, or proof you qualify for state or federal disability benefits. Work around the confidentiality laws, and weed out wrongdoers who abuse the system. Don’t punish people with disabilities who need the special services.